Gut reactions! An exploration of the microbiome. 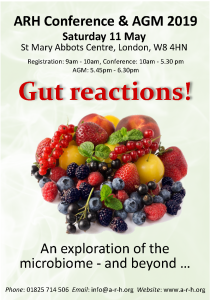 This is going to be a very special day, and we have a super line-up of speakers to take us on a journey through the microbiome of the gut, and beyond! Dr Yubraj Sharma will start the day with an overview of the anatomy and physiology of the human gut flora, and consider how allopathic interventions can potentially distort or alter this complex, sensitive ecosystem. Doris Beauchamp will then look at the base chakra and Morgan Pure, and explore how the gut-reaction of fear can negatively impact upon our crown chakra, thereby inhibiting our ability to realise our full potential in life. Many researches now believe that the microbiome plays an important role in regulating obesity, and Rhian Jones will see how this hypothesis might influence the manner in which we approach treating patients with obesity, in clinical practice. The conference concludes with Yubraj summarising the spiritual and esoteric aspects of the gut microbiome, and considering how this often neglected aspect of human physiology, might help us to identify new remedies in the future. Click on the image to download the conference flyer.